Yours free when you sign up for the weekly newsletter. and Sri Mahavatar Babaji To Revolutionise Your Life. And Joy By Invoking The Dormant Christ Light Within You. You are more than what you think you are. A radical book full of powerful affirmation techniques to help you bring about positive change in your life working with Higher consciousness. Yours free when you sign up for the weekly newsletter. This E-book is totally yours for free via email attachment when you sign up. May you be blessed and have great joy when you work with your mantra with the knowledge of One Power for your Divine manifestation. Join Me On This Online E-course. You can join me at any time. This course is called Enlightenment, The Law of Attraction and God Consciousness Now. It is about bringing together the three ancient paths for Divine manifestation, realisation and inner bliss. And the system is revealed in the course, working with the three ancient paths. Every week you will be sent a 20 page lesson via email attachment. Any questions you may have will be answered by email. Not only do you get the course but you get three E-books for free when you purchase the course. 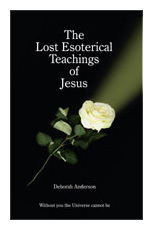 Given to Deborah by the Masters. This book is about the dynamics of the mind and how our beliefs shape our lives and decision making. 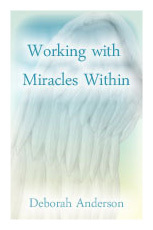 This book shows, how we can change our beliefs, that act as our very foundation, for self-image, for the better. Therefore, bringing about right manifestation, through right decision making. How to die to the negative ego and resurrect into the higher consciousness. This book can be purchased separately on the Books page here. 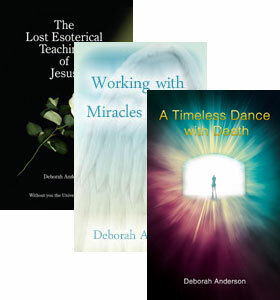 This book is about a conversation Deborah had with the Light, when she found she had died and gone on to the other side with Jesus and Babajis help. 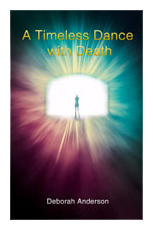 This is a very moving book and has received acclaim from some of the world’s authorities on near death Experiences, mystical states of consciousness and spirituality. Reviews can be read in the E-book from Rene Jorgensen author of Awakening After Life, Behind 90 minutes in Heaven and The Light behind God, Gina Kim author of A Yogini’s Autobiography, and Nandhi an enlightened yogi of the siddhars Gurus and Masters In India founder of the Arriven temple Santa Monica. This is a small E-book that covers how to use the right words for right manifestation and how to use affirmations so they truly work for you. This course helps you to connect with your Higher Self and find inner bliss, silence of mind and detachment. Working with God Consciousness means to work with Good Consciousness - a higher way of thinking. It is constructive, replacing every negative thought with a positive one. You are here to experience who you are in joy. To meet challenges, without despair and to see opportunities in crisis. When you tap into your higher consciousness you become inspired and intuitive. You are able to take right action instead of negative reaction. You become self confident. Your self esteem is raised and you are better able to control your negative emotions and thoughts. You find you are better able to love yourself and you will no longer need the approval of others in order to feel loved. You become self empowered, living life to the full in your true reality bringing inner healing. Learn powerful methods to connect to your Higher Self. Feel energized and uplifted as you realize your Divinity. Manifest the life you have always dreamed possible. This course will help you, step by step, in six easy lessons to break down the illusion of separation in your mind. It will help you to consciously realise God Consciousness, Pure Consciousness, Your Higher Self, The Higher Way Of Thinking and Being. It will help you to enter the gates of Paradise-thinking. Remember that God Consciousness is not so out there or out of reach, that you cannot connect with it. You do not achieve this state - you realise it. To know more about the course click here. Thank you Deborah, I have seen the light, it has truly opened my eyes. I feel good. I have pure joy in knowing that I AM . It all makes so much sense now. Every single word is bang on the bulls eye. This is the exact esoteric teachings of the east which has just simple logic but is fathomless in its profundity. Thank you. Finally an explanation I can understand. Thank you so much. Since the last email correspondence I have felt invigorated, re energised and much more confident to tackle what have been proven to be life changing decisions. For this I am eternally grateful. I no longer have the need to look for love outside of myself. I have found it within. Thank you, you have changed my life. Your writing is so good and to the point. Thank you. There is a 60 day money back guarantee if you are not satisfied with the course. You can keep the course and the 3 free e-books. We are confident that you will enjoy the course and experience a radical change in your thinking that will help you on your spiritual journey. You can ask up to 3 questions by email using the contact form. Deborah will then reply to you concerning the questions. 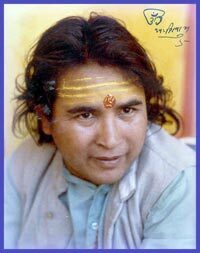 If you are happy to go ahead she will spend time on your behalf with Babaji. When you purchase the reading by using the buy button below, your reading will be sent by an audio email attachment within 24 hours. How to master your mind in order to master your life. Reprogram your mind and properly apply affirmations. Silence your mind of negative thoughts. Learn how the Law of Attraction works. Harness the power of your thoughts and feelings. Realize how powerful you are. Remain calm in the middle of adversity and negative vibrations. Become centered and realize your Higher Self. Attain inner peace and silence. Learn why gratitude is the master Key for manifesting your desires. Learn the Law of Attraction works with the Law of Gratitude. Learn what it truly means to apply the correct use of wisdom in your life. Learn how to listen to the small still voice within - the wisdom of your Higher Self. News articles are being written regularly. Please subscribe to the Newslestter below to stay informed.